Think Britain doesn’t build cars anymore? Think again – our automotive industry is worth around £70 billion a year and is currently booming. The United Kingdom is home to a huge variety of car, motorcycle, truck and specialist vehicle makers. Here we showcase the industry, literally from A to Z.
Britain was one of the world’s automotive pioneers. Frederick Simms was friends with Gottlieb Daimler, himself a pioneer who patented a petrol engine. He licensed this and other Daimler components to create Britain’s first production car in 1896. The rest is history: a quarter-century later, there were 183 motor companies operating in Britain. Not all survived, and many are now in foreign hands – but many are in rude health. So who does what and where? Read on to see the rich mix of vehicles built in Britain. A fast-growing bus builder, Alexander Dennis employs 2,000 people and runs the Alexander, Dennis and Plaxton bus and coach brands. Many authorities operate its buses, including London, and its line-up includes hybrid buses. The Enviro400 pictured is a green city market-leader. The Ariel Atom is one of the world’s most distinctive performance cars. With no bodywork or roof, it’s all about pure driving thrills – and is a Top Gear TV favourite. The Ariel brand was revived in 1999 by Somerset-based Simon Saunders. Formerly, it was a Birmingham firm producing motorcycles, something Ariel is now returning to with the radically retro Ariel Ace. Aston Martin is one of the world’s most valuable and envied brands. The choice wheels of James Bond, it was founded in 1913 by Lionel Martin and Robert Bamford. After various changes of ownership, Aston is now owned by a group of investors including Daimler, which has a 5% stake. CEO Dr Andy Palmer is currently leading a ‘second century’ business strategy to turn Aston Martin into a company as successful as Ferrari. The Briggs Automotive Company, or BAC, is the brainchild of Neill and Ian Briggs. Based in Liverpool (it tests at nearby John Lennon Airport), it makes the Mono single-seater, which brings a race car-like experience to the road. It was The Stig’s Car of the Year in 2011, is the second-fastest car around the old Top Gear track (a Pagani suspected of running on track tyres, contravening TG rules, kept it off top spot) and can be driven in Forza Motorsport 6. W.O. Bentley founded the company bearing his name in 1919 and Volkswagen AG bought it in 1998 to set the brand upon its modern transformation into one of the world’s leading sports-luxury manufacturers. 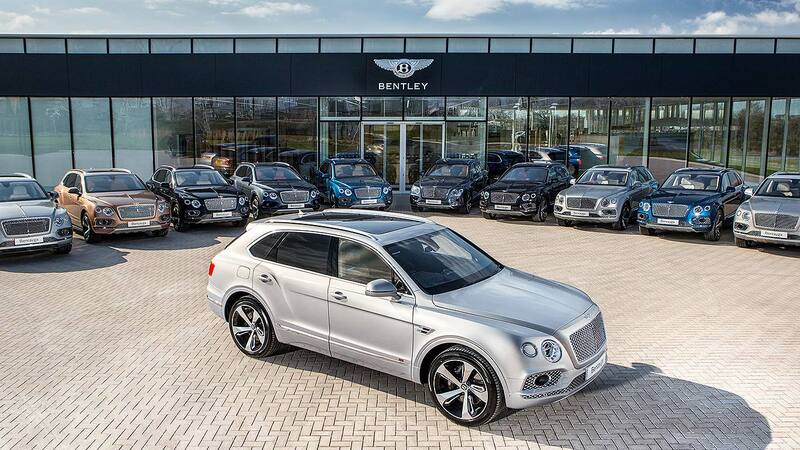 A serial winner of the Le Mans 24 Hours, Bentley’s latest foray is into the world of SUVs with the controversial but extremely accomplished Bentayga. BMW’s stewardship of Rover Group was controversial. More successful has been a subsidiary it initially built to supply the sprawling Longbridge Rover site with engines: Hams Hall. Today, the Warwickshire plant builds engines for BMWs and MINIs, including models such as the 3 Series, MINI Cooper and even the BMW i8. It makes three major components – cylinder blocks, cylinder heads and crankshafts – on site. Bristol used to be based in Bristol, but the company went bankrupt and the Filton site has since been redeveloped. An engineering entrepreneur bought the rights to the name and has recently revealed an all-new model to revive the storied name, the Bullet. This will be launched in 2017, exactly 70 years since Bristol Cars was founded as a division of the aircraft manufacturer. Caterham bought the rights to build the Lotus Seven from Colin Chapman back in 1973 and has been building its half-tonne, two-seat sports car ever since. Ultra-simple, ultra-intense, there’s nothing quite like a Seven, which is why Caterham keeps on building ’em. In the 1990s, it tried to make a modern car, called the 21, but there were few takers. It seems that only the real thing will do. Cummins is a huge American industrial engineering company with a factory in Britain building high-output diesel engines. They’re used in agriculture, mining, construction and even rail industries, but they’re also used on the road in trucks, motorhomes and buses, plus fire and emergency vehicles. Cummins is even helping keep the classic Routemaster bus on the road with a green engine conversion. David Brown loves classic Aston Martins, so has recreated one – the GT – and built a brand new car company to sell it. Derived from the Jaguar XK, it’s hand-built and sold to a rarefied clientele. Only in Britain could such a concept become a production reality. Next time it’s bin day, take a look at the refuse truck. Chances are, it will be a Dennis Eagle. Based in Warwick (and owned by Spanish giant Ros Roca), the company has been building vehicles since 1907 and there are few experts better at precision-engineering refuse trucks. The latest Elite 6, pictured above, is all-new and fully compliant with tough Euro 6 emissions standards, ensuring it really is green bin day. Ford doesn’t build cars and vans in Britain anymore, despite Manchester’s Trafford Park being its first non-US site back in the early 1900s. Instead, Ford builds engines here – lots and lots of engines. The Fiesta ST uses a 1.6-litre turbo built in Bridgend, Wales, while the famous Dagenham site makes hundreds of thousands of diesel engines a year. Ford has committed £475 million to further expand Dagenham and build a new 2.0-litre diesel engine there. Ginetta was founded in 1958 and developed a strong following in the 1960s, both on road and track, for its great-value, charismatic sports cars. The company floundered in the 1990s, but was revived by race driver and businessman Lawrence Tomlinson. Now based near Leeds, the company has a range of road and race cars, and is on the BTCC support race bill for top-line motorsport kudos. 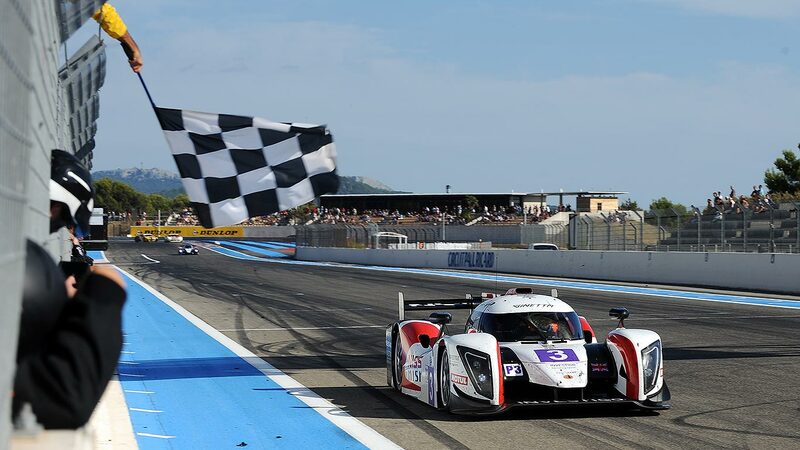 Nearly 60 years on, Ginetta has never been stronger. Honda first came to the UK in the early 1980s, in a joint venture with British Leyland firm Triumph: the Acclaim was a rebadged Japanese-market Honda. It built its own factory in Swindon, which opened in 1989 and today builds the Civic and CR-V. It’s been confirmed as the lead factory for the new Euro-spec Civic, production of which begins in 2017. Japanese premium brand Infiniti has taken its meticulously high production standards to a special area within Nissan’s huge Sunderland plant; there, it builds the Q30 and QX30. The venture was launched to great fanfare, and although sales perhaps haven’t quite lived up to ambitions, it’s still another vote of confidence in the abilities of the Sunderland workforce. Jaguar was founded by Sir William Lyons in Blackpool in 1922 (it was initially called the Swallow Sidecar Company) but he soon moved to the heart of the UK automotive industry: Coventry. The traditional home for Jaguar was Browns Lane, but today its production HQ is Birmingham’s Castle Bromwich, alongside the M6 motorway, with its engineering HQ at Whitley in Coventry. 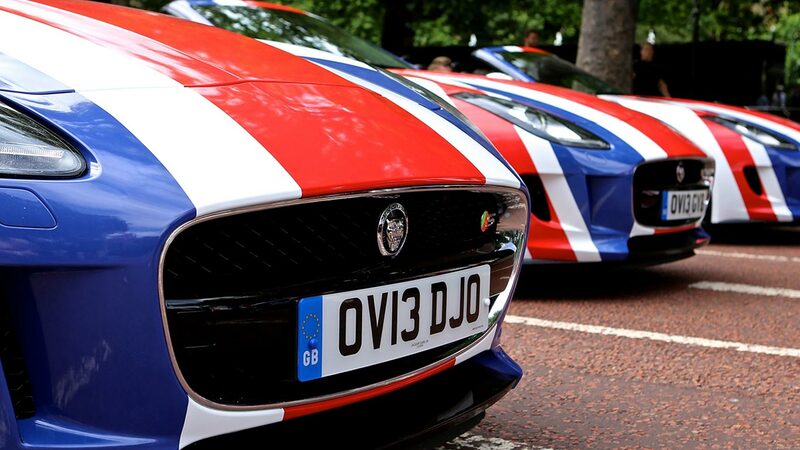 Jaguars are also now built at the Land Rover plant in Solihull – a ‘plant within a plant’. Land Rover, of course, has been based at Solihull since its inception in 1948. The site has grown enormously since then and, in 2007, the Freelander was moved to the Halewood, Merseyside factory, freeing up space to build more Land Rovers and Range Rovers. Halewood also makes the Range Rover Evoque, and the Land Rover Discovery Sport replaced the Freelander in 2014. The most recent Jaguar Land Rover factory was also opened in 2014, by Her Majesty The Queen – but to produce engines, not cars. For the first time in decades, JLR now produces its own engines, under the Ingenium brand. Eventually, the factory will cover more than 200,000 square metres. The third ‘Dennis’ in our group: John Dennis is the specialist fire truck division based in Guildford. It’s independently owned (by the grandson of John Dennis himself) and holds the acclaimed BS EN ISO 9001 accreditation – one of just a few suppliers to the UK fire service to do so. It doesn’t make its own vehicles anymore, but does produce fire trucks based on other manufacturers’ chassis. Lagonda is the luxury saloon division of Aston Martin first founded in 1906 and owned by Aston since 1947. It’s been dormant for long periods of time, but was revived once again recently. It now forms part of Aston Martin chief Dr Andy Palmer’s long-term strategy. The mighty Taraf is the first new Lagonda since the fearsome and futuristic 1976 Aston Martin Lagonda. Leyland Motors was a former giant of the British motor industry, owning Austin, Morris, Triumph, Jaguar, Land Rover, Rover… Of course, British Leyland famously disintegrated, crippling the British automotive sector for years, but the Leyland truck division that started it all survived. Leyland Trucks merged with DAF in 1987, was bought out by management in 1993 when DAF went bust. Since 1998, it has been owned by US truck giant, PACCAR. Still using the DAF brand, 800 people build around 14,000 trucks a year. The fledgling Lightning Car Company has been around since 2007 and has been based in Fulham, Peterborough and now Coventry. The Lightning GT is an ambitious EV using twin motors and a fast-charge lithium titanate battery pack. It looks beautiful, but has been much delayed. The latest news is simply of an update in summer 2016. Which is, er, now. Lotus Cars, the perennial innovator and producer of sublime drivers’ cars that often seems to be in a slightly perilous business state. The Dany Bahar era was a recent low, but stern new chief Jean Marc-Gales is trying to turn things round by returning Lotus to its roots – and the cars launched since his inception have been superb. Original founder Colin Chapman, who created Lotus in 1952, would be proud. The London Taxi Company boasts a very diverse history. Former parent company Manganese Bronze Holdings acquired the Carbodies company in 1973 and the rights to the British Leyland FX4 taxi it built in 1982, renaming it LTI Fairway. It developed a new cab, the retro-modern TX1, in 1997 and the latest TX4 still meets the strict Transport for London regulations for taxis. Manganese sadly went bankrupt in 2012 and the future of LTI looked bleak – but a buyout by Chinese giant Geely has seen production recommence. 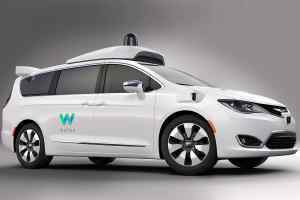 It’s now investing £250 million in building a new plant for the London Taxi Company near Coventry, due to open in 2017 and produce a radical new plug-in hybrid London black cab. 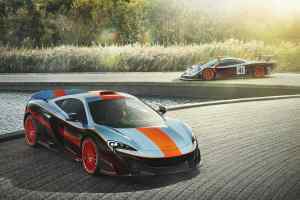 The seeds of McLaren Automotive were sown when F1 boss Ron Dennis and his designer Gordon Murray were waiting for a delayed flight in the late 1980s. The new company was called McLaren Cars and its first car, the F1, is a legend. Modern McLaren Automotive was created in 2010 by Ron Dennis as a stand-alone division to challenge Ferrari with high-tech British sports cars and supercars. It’s succeeded – several years of profits and some amazing cars, including the 675LT, P1 and new 570S, are testimony to that. Metro Cammell Weymann (MCW) was a major bus manufacturer that, in the 1980s, created a rival to the traditional London Taxi, called Metrocab. It went out of business in 1989 and Reliant bought the rights to the cab. Reliant then went bust in 1991 and coachbuilder Hooper bought the rights. It went bust in 2000, with modern owners Kamkorp buying the rights. The Metrocab was produced again for a year in April 2005 and now the firm is readying a radical new Metrocab, pictured above. It promises 99mpg, sub-65g/km CO2 and running costs so low the typical London cabbie will save £40 a day. MG Motor is all that’s left of the huge Austin-Morris empire that dominated the UK automotive industry for so many decades. Now a subsidiary of China’s SAIC Motor, the company initially emerged from the rubble of MG Rover’s 2005 crash and was originally bought by Nanjing Automobile. SAIC subsequently bought Nanjing. The design HQ is vast and creates MG-branded models sold globally, although production at Longbridge is reserved to final assembly of UK-market MG3 and the new MG GS. Just over 500 people work there. When BMW bought Rover Group, it originally wanted to make the Rover 75 at Plant Oxford. But when BMW sold Rover, it kept MINI. The answer? Swap the Longbridge-built new MINI and Oxford-built 75 around. And MINI has been built there ever since its relaunch in 2001. Around 3,500 people work at the plant and it’s even been the star of the BBC’s ‘Building Cars Live’ TV show, starring James May. The Morgan Malvern factory is a step back in time to traditional hand-craftsmanship. In fact, the company makes as much money from tours as it does from building cars. Around 160 people work there and the firm makes, by hand, around 1,300 cars a year. And yes, the cars are made from wood; ash is used to construct a frame, upon which the body is hung. Morgan’s most recent success has been the delightful Three-Wheeler. Later this year, an all-electric EV3 version will be launched. New Holland in Essex is the only agricultural tractor plant in the UK. It opened in 1964, originally as a Ford plant until the company sold its agricultural division to Fiat in the late 1990s. Today, it’s owned by CNH Industrial, an Italian firm headed by Sergio Marchione. Around 100 tractors a day roll off the production line. Bringing Nissan to Sunderland was one of the biggest industrial success stories of the 1980s. Nissan could have chosen anywhere in Europe to set up shop. It chose the UK, and the plant has thrived ever since it opened in 1986. More than half a million Nissan Qashqais, Notes and Jukes are produced there each year. It also builds the electric Nissan LEAF, including its batteries, and has recently started making the new Infiniti Q30 and QX30. According to Jeremy Clarkson, Nobles are built on an industrial estate in Leicestershire. Technically, he’s right: Lee Noble set up shop there in 2000, making specialist supercars that were raw but wonderful to drive. Then, new investors arrived to help the company take the next step, and Damon Hill’s former manager, Peter Boutwood, became MD. Lee Noble left, Noble set about designing a new premium-price supercar and, in the process, moved to a flash new HQ on the Meridian Business Park next to the M1 in Leicestershire. So, Clarkson is half right. Norton, a famous motorcycle name from the 60s and 70s, made its first bike in 1902. It thrived until Japanese motorcycles showed up British-built machines and went out of business in the early 80s. Revival attempts begun in 1988 but it wasn’t until 2006 (and several owners later) that things began in earnest. Norton acquired its new corporate HQ, Donington Hall, in 2013 and today aims to produce 1,000 retro-look motorcycles a year. Bus maker Optare was created in 1985 when Leyland closed down a vehicle bodywork business in Leeds. Backed by the local enterprise board, the plant’s former director, Russell Richardson, created Optare and, after slow beginnings, started producing buses in earnest. Today, after several takeovers, it’s majority-owned by Ashok Leyland – the former Indian subsidiary of British Leyland. Only this time, Leyland is helping the maker thrive, from a brand new 13,000 square metre factory in Sherburn-in-Elmet. The original Peel P50 was a tiny car made on the Isle of Man in the 1960s, entering the Guinness Book of Records as the smallest production car ever in 2010. By then, the original firm was long out of business, but an enterprising London company is now producing a recreation, which you can buy in kit form from £3,000, or fully-assembled from £8,499. You can even get it as a full EV. Tempted? Plaxton is a brand with history. It was set up as a joinery in Scarborough in 1907 and, thanks to the region’s popularity as a holiday resort, gradually found its key market to be coach bodies. It grew and prospered – a Plaxton Panorama was used in The Beatles’ Magical Mystery Tour film – and became a dominant coach brand, before events took over and the business stumbled. 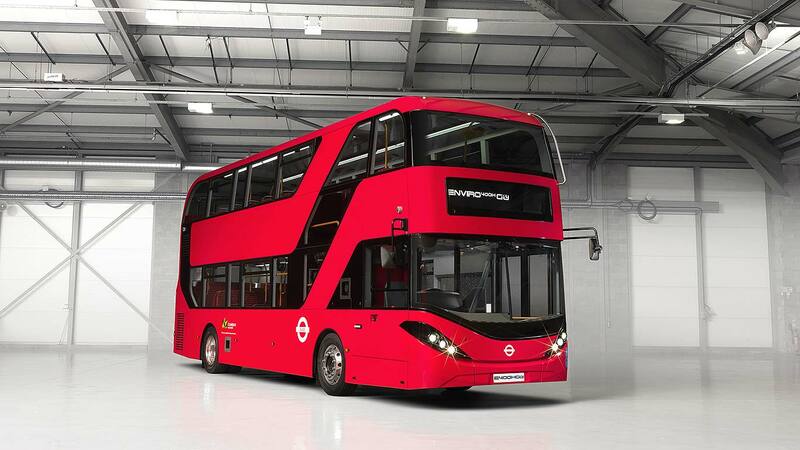 After several owners, it’s now part of Alexander Dennis and produces both buses and coaches. Once again, it’s the centre of coach excellence for its Scottish owner. Radical was founded in 1997 to build simple road-going cars that could be driven to track days and races. Clearly, it’s a formula that worked. Today, Radical has a huge range of models including a Le Mans prototype – and one of them even held the record for fastest lap around the Nürburgring Nordschleife – in a barely believable 6 minutes 48 seconds. Riversimple is an enterprising start-up company based in mid-Wales that’s built a hydrogen fuel cell car called the Rasa. It’s just as ingenious as the Toyota Mirai, but has been developed without the vast resources or budget of the Japanese giant. It’s a clever little zero-emissions city car that the firm hopes early adopters will take to. It could be the start of something big. The late-1990s battle for Rolls-Royce and Bentley between Volkswagen and BMW was fascinating. While Volkswagen ‘won’ Bentley, and the Crewe works, it didn’t get the Rolls-Royce name. BMW won the rights, so set about designing a new range of cars and building a factory to make them. Chichester was chosen, on a site over the road from the Goodwood circuit. Today, it has built more than 1,100 ultra-pricey luxury cars in the previous three months alone. Toyota followed Honda and Nissan into the UK, setting up shop at Burnaston in Derbyshire in 1989. The first car left the line in 1992: a Carina E – that’s ‘E’ for Europe. An engine plant in Deeside was subsequently built and today the two sites employ almost 4,000 people. Burnaston builds the Toyota Avensis and Auris, including hybrid models. Deeside makes a range of 13 petrol and diesel engines for the Auris and Avensis, plus models for export. It’s also to build the new 1.8-litre hybrid engine going into the Turkish-built C-HR crossover. Everyone’s dad, granddad or uncle probably rode a Triumph back in the day, but the original company went bust in 1983. Housebuilding millionaire John Bloor bought the rights and, after developing a new range of bikes and a factory in Hinckley to build them, relaunched Triumph in 1990. A dramatic fire destroyed the factory in 2002, but determination saw it rebuilt. Today, a prospering Triumph is Britain’s largest motorcycle manufacturer and a genuine rival to brands such as Honda, BMW and Suzuki. It builds around 50,000 motorcycles a year, more than 80% of which are exported. TVR is back, with a rumbling new sports car true to the spirit of TVR but based on an advanced chassis designed by McLaren F1 genius Gordon Murray. And it’s planning to assemble it in Ebbw Vale, Wales – despite the collapse of the Circuit of Wales project that originally tempted it to the region. It’s even recently announced a sponsorship deal with the local rugby team. We look forward to finding out more in the coming months. Vauxhall, started making cars in 1903, initially in London’s Vauxhall before moving to Luton in 1905. Vehicles are still built there today, as it’s the home of Vauxhall’s commercial vehicle operations (famous cars from the past such as the Cavalier were also built there). Vauxhall also has a big factory in Ellesmere Port, building the Astra hatchback and Sports Tourer estate. It employs around 1,900 people, making it twice as big as Luton. Westfield Sportscars was founded in 1983, building a replica of the 1956 Lotus XI. It then created the Westfield 7SE kit car, a model very similar in appearance to the Caterham. Too similar for Caterham’s liking, in fact – it threatened Westfield with litigation. The West Midlands cars were thus redesigned, with glassfibre bodywork and independent rear suspension. The Rover V8-engined SEiGHT put it on the map in the 1990s and it’s also developed track-ready racers. More recently, the Kingswinford maker has worked on an all-electric racer and a hybrid version of its European Small Series Production Status-accredited Sport Turbo. Wrights Group has operations in Ballymena and Antrim, Northern Ireland. A leading independent European bus manufacturer, it was established in 1946 and today builds 1,300 buses a year, plus 350 kits. Turnover tops a quarter of a billion pounds and it employs 2,000 people. Products range from small buses to full-size single and double deckers, plus articulated buses. Start-up British sports car firm Zenos launched in autumn 2013 and showed its first car, the E10, in early 2014. It launched it in March 2015. Motoring Research drove it and was wowed by what the former Caterham and Lotus people had come up with. Since then, it’s starred on Top Gear and progressively faster versions of the track-orientated, road-going two-seater have been launched, all following the original ethos of high thrills for low cost.